If you graduated college before the Bill Clinton era you understand the title, otherwise Google Yogi Berra and Harry Truman. Should get you fixed right up. 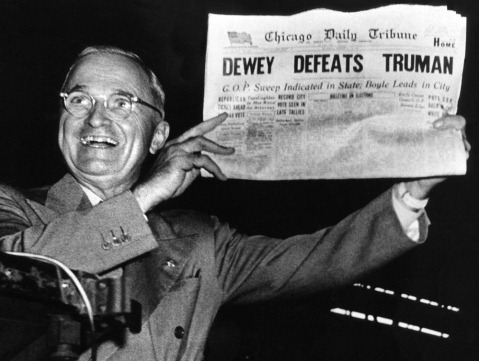 Anyway, here’s what happens when the media “puts the fix in,” in the post-establishment era. 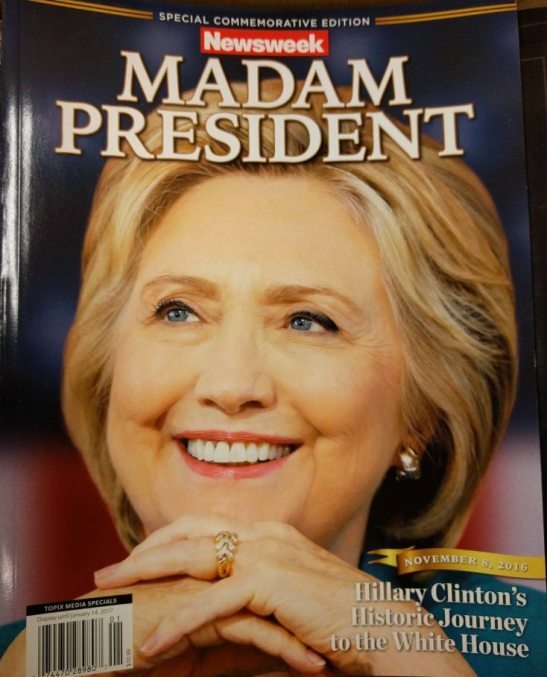 Surviving copies of Newsweek with the headline “Madam President” over a picture of Hillary Clinton are being sold online for prices as high as $10,000, according to the Hill. Newsweek magazine prepared for its first issue after the presidential election on Nov. 8 by producing two different versions. One issue had Hillary Clinton on the cover and the other had Donald Trump, who ended up winning the election.